How are you? It's really very nice to meet you in the Canton Fair. 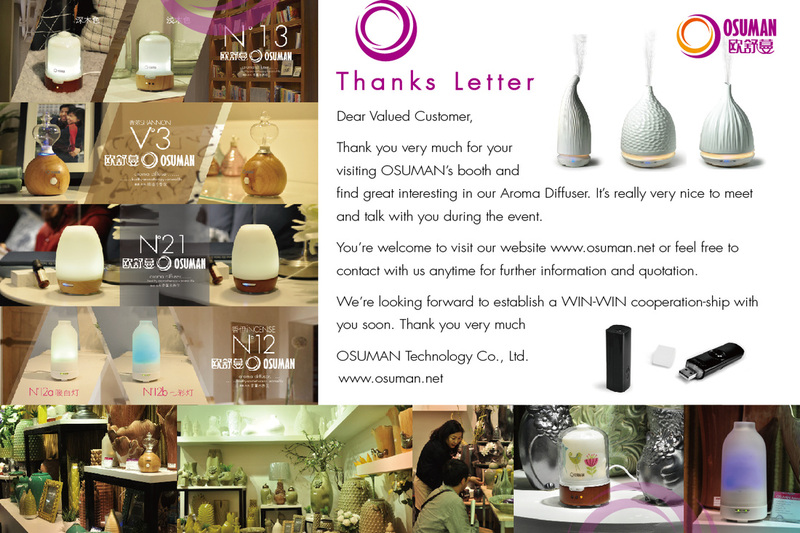 Thank you so much for your visiting OSUMAN's booth and find great interesting in our Aroma Diffuser. We OSUMAN Team is ready to provide you a satisfying service when needed. Please free free to contact us anytime. Thank you. 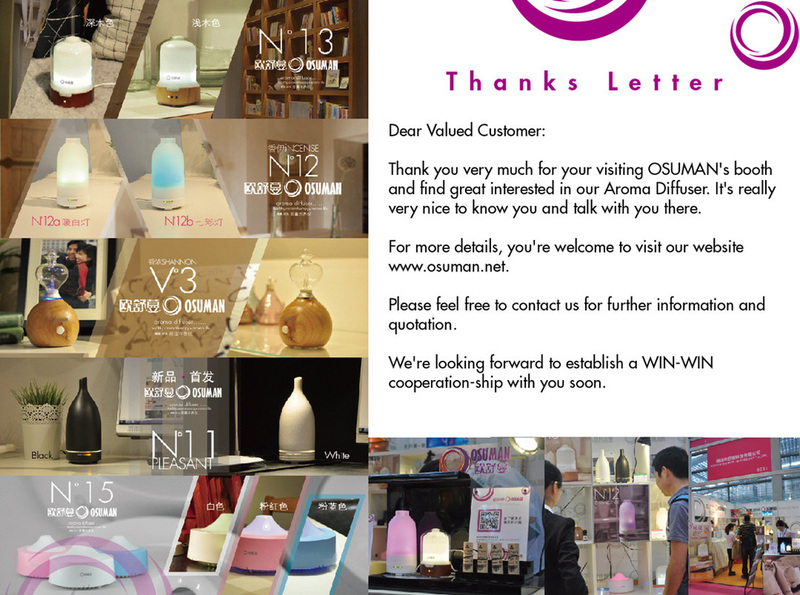 I am please to tell you that we,OSUMAN will be displaying ultrasonic aroma diffuser, aroma nebulizer and essential oil at the 115th Canton Fair in spring of year 2014. You are cordially invited to our booth or company during the fair. Please kindly inform us your visiting date in advance for our better arrangement. We treasure every opportunity to meet you and cooperate with your esteemed company. Looking forward to hearing from you and meeting you at this exciting event. Nanhai, Foshan, Guangdong, Province, P.R.C.